After fleeing the Branch with Sam, Cas, and Nick, Anna is learning how to survive in hiding, following Sam's rules: Don't draw attention to yourself. Always carry a weapon. Know your surroundings. Watch your back.When memories from Anna's old life begin to resurface--and a figure from her childhood reappears--Anna's loyalties are tested. Is it a Branch set-up, or could it be the reunion Anna has hoped for? Ultimately, the answers hinge on one question: What was the real reason her memories were erased in the first place? 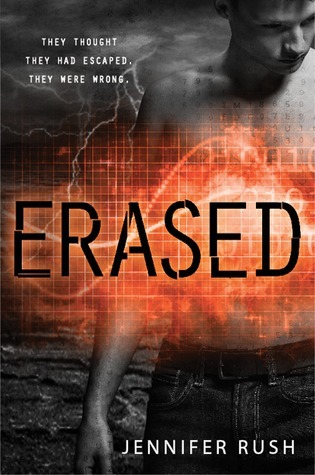 If you were a fan of the first book in the Altered series you will not be disappointed with the sequel! Erased is full of the same great characters and personalities you grew to love in Altered. Back in Altered you really got to see Sam's story unfold and in Erased you finally get to find out about Anna's forgotten past. I can promise you Anna's past is full of action packed surprises. I never saw any of the twists coming and I loved every second of it. Moments in Erased, especially near the end, will shock you. I also really liked that you get to learn more about the supporting characters, like Nick who surprisingly is not the big jerk you would think he is. One of my favorite things about this series is the action. If you loved that aspect of the first book you have no need to fear, there is tons of it in this one too. My only complaint with the book is that compared to the first, this one seemed rather rushed at times. A lot of the action seemed to happen all at once which for the actual reading experience was somewhat exciting. Though once I put the book down I was like where did the book? Overall Erased is a fantastic shock filled sequel that will not let you down and I am really looking forward to the rest of the series! The ripple effect caused by Mac’s best friend Amy’s murder has driven Mac’s new love, Kyle, to leave Hemlock and disappear from her life forever. But Mac knows that Kyle plans to enroll in a rehabilitation camp, where he can live with other werewolves. She refuses to accept his decision, especially since the camps are rumored to be tortuous. So she sets out in search of Kyle with a barely sober Jason—and Amy’s all-seeing ghost—in tow. Clues lead Mac to find Kyle in a werewolf den in Colorado—but their reunion is cut short by a Tracker raid. Now Mac and Kyle are trapped inside the electric fences of Thornhill, a camp for young werewolves. As she devises an escape plan, Mac uncovers dangerous secrets buried within the walls of Thornhill—and realizes that the risk to the people she loves is greater than ever before. I am just going to come right out and say it, this book made me sad. It was not because it was a sad book but because I really enjoyed the first book but I just could not wrap my head around this one. This book did not do it for me. I loved the premise for the Hemlock series. It is a lot different from other werewolf books out there today, one of those factors is that werewolves are round up and brought to rehabilitation camps that do not have very good conditions. I always thought this was a very creative take on a werewolf story, so when I read the synopsis for Thornhill and heard they would be going into one of the camps, I got so excited! I was so sad and disappointed when I closed the book and had to admit that I did not like what I had just read. The plot of the book was very interesting but nothing else worked for me. The pacing seemed off to me and left me bored at times. The characters who I loved in the first book actually bothered me this time. I cannot tell you how many books try to play the card where the boy is always leaving the girl to "protect" her and every time that happens it NEVER works for the reader. Kyle goes back and forth between loving and leaving Mac that it just irritated me. I really had to force myself to finish this book. 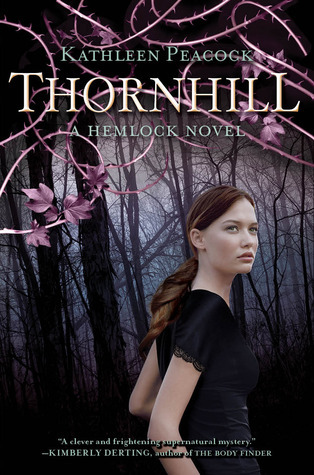 Hemlock was a fantastic book but Thornhill was just not up to par with it.